One of the more interesting subjects broached by the Bibliophiles in the recent past is the influence of Esoterica on the writing of ERB. The positive side of the argument has been taken up by Dale Broadhurst and David Adams while being strenuously opposed by Robert Barrett. I have to side with the former two. 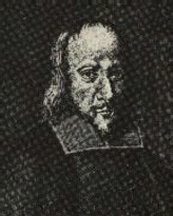 Mr. Broadhurst in his series of essays on the ERBzine - The Sword Of Theosophy - proposed that ERB was rather strongly influenced by Mormonism among other esoteric religious thought systems. This took me back a little as my thoughts hadn't wandered in that direction. But as I began searching for contacts the idea became more probable. As so often when we're looking for sources or influences we sometimes go too far afield. I had an accession of older Burroughs Bulletins just before Christmas from a kindly gentleman and genuine benefactor of mankind. I edit his name out as I'm sure he wished to remain anonymous. Among the copies was #19 Summer 1994 which contained an article by the astute Burroughs scholar, Philip R. Burger titled: "Sweetser And The Burroughs Boys." While looking far afield for esoteric and psychological sources here was a very important one right under our noses. Sweetser was one of those guys who should have gone far. He actually rose fairly high but just couldn't grasp the handle. From a couple good starts his life ran downhill until he died lonely and broke in Los Angeles lamenting the disappearance of the frontier. Well, those were the good old days. 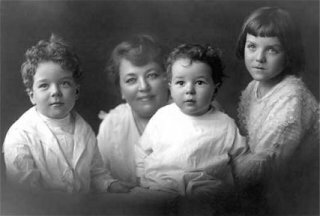 Sweetser and Burroughs brother Harry were the real friends while Brother George T. the Junior joined up. 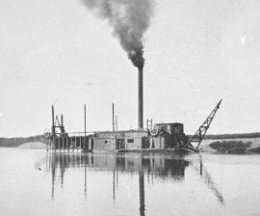 After the gold dredging and cattle ranching went smash Sweetser put his hand to as many jobs as Burroughs is credited with. What caught my eye was that in the twenties Sweetser was a lecturer on esoteric subjects heavily tinged with psychology. On page 19 Burger quotes Sweetser: "Everyone of us has a subconscious mind and it is through suggestion to this subconscious mind, either by ourselves or by others, that our destinies are controlled." There he had psychology in a nutshell which he had apparently imparted to a young impressionable Edgar Rice Burroughs. 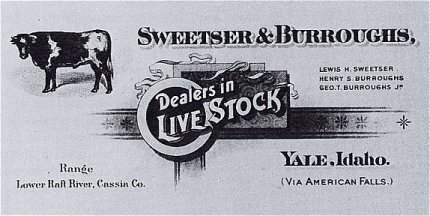 Sweetser's act was billed as a hypnotist aided by a trained psychic. A complete course in the esoteric. When a young and impressionable ERB went West for the first time in 1889 in addition to the sensory overload of life on the range he came into contact with Lew Sweetser fresh from Yale where one assumes he must have taken a psychology course or two thus combining a scientific approach with esoteric ideas. I should like to have heard his lectures. As there was no television or radio to blot out conversation the only entertainment on those long cold evenings was each other. All one could do was talk. In the same issue on page 29 is a picture of the assembled families on the houseboat. They were gathered for an evening of talk. Of interest is the fact that they are all dressed as though for a night out. Hair up, nice clothes. Apparently the Burroughses were not going to sacrifice genteel Yale manners to frontier exigencies. If you have a copy note the Yale banner on the right wall. They also named their town Yale. A young Sweetser and Harry Burroughs bubbling over with ideas acquired at college would not be shy discussing them with young ERB. As they were living in Mormonland with Salt Lake City not too far distant one imagines that the bizarre doctrines of Joseph Smith and his followers would be a constant topic of conversation. After all it hadn't been too long before since Brigham Young had brought the folk to the shores of the Great Salt Lake and asked them: What do you think? Congress was passing a law banning polygamy restricting the practice of the Mormon religion. Now, the area of New York from which Joseph Smith began his Western migration was a hotbed of esoteric discussion. I avoid the word occult because of its associations with Satanism. Occult merely means hidden or secret. The esoteric thinkers are occult but have no more association with satanism than the exoteric churches. 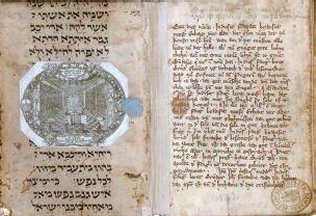 When the Rhineland Germans emigrated to the United States they were devotees of the esotericists Jacob Boehm and Meister Eckhart. 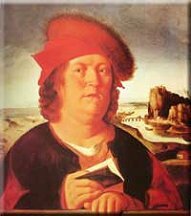 There was a lot Rosicrucianism and Paracelsus doctrine in their beliefs. As they settled in Pennsylvania and became the Pennsylvania Dutch they and their doctrines spread up into New York. Thus Joseph Smith learned a lot of this alternative religious blather. 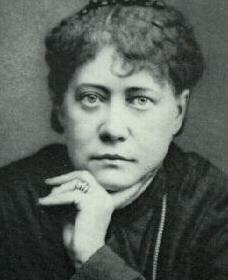 This was the same sort of speculation that Madame Blavatsky incorporated into her doctrines. 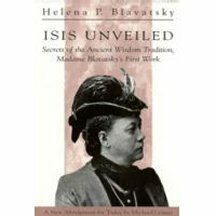 The first volume of her book Isis Unveiled is concerned with rapping and table turning. This sort of mediumship arose in the same area from which Joseph Smith emigrated. Thus Burroughs would have been reasonably well informed on these doctrines at a young age. His interest already piqued it is to be expected he would leave an attentive ear open for additional information. There was a copy of a book by the leading Theosophist, William Q. Judge, who died in 1896, in ERB's library. Then in 1898 on his second Idaho sojourn, now a man with a man's mind, his contact with Sweetser and brother Harry were renewed. In August of 1898, now 23 years old, Burroughs took a trip to the Mormon capitol ostensibly for business purposes but perhaps to see the temple and discuss things with Mormons on their home turf. Who knows what weird stories he imbibed as Mr. Broadhurst suggests. 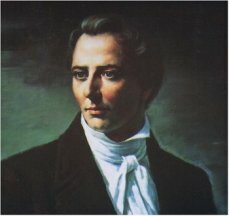 Then once again at the end of his third Idaho sojourn, this time in company with his wife Emma, he spent several months in the capitol of Mormonism. So that, regardless of whether he actually read Madame B. I think it obvious that he was fairly conversant with esoteric doctrines of one sort or another while through Lew Sweetser his interest in hypnotism, the subconscious and psychology was aroused. As these interests were expressed in his writings before Sweetser began lecturing about them, of which Burroughs must have known nothing, it is more than probable that his first information was acquired at the feet of Lew Sweetser and brother Harry quite early in life. Thanks to Phillip R. Burger, Dale Broadhurst and David Adams who approach this subject with open minds, with a little effort we may make that theosophical or esoteric connection clear. I'll do my bit. The sweet sounds of 'Maria Elena' soar about my ears lifting my spirits into ethereal realms of harmonic bliss. The pleasant rhythmic damping of the acoustic guitar lulls my subconscious while the magnificent electric leads stimulate my frontal lobes into dynamic activities imagining worlds that do exist but only in the imagination. If not in this world perhaps the next..or the one after that. I have my pen in hand searching for a lead into the story line I have in mind. I still compose the old fashioned way with pen and paper. Somehow it is easier to compose my thoughts from left to right rather than spewing them out my mouth until they're all gone. Force of habit I suppose. I could get lost forever in the swirling melody of 'Maria Elena' but I would be just that- lost. In that direction lies that peculiar form of insanity- a withdrawal from reality. The damping rhythm guitar draws me back down into a balance between the dream world of harmony and the dark ulterior reality of the subconscious. Balance is what the world need now. Love's not the question and love's not the answer. A place between the exterior world of appearances and the inner world of wishful thinking. How do you know you're there? That is the substance of my researches into Edgar Rice Burroughs. Here was a man struggling to control the terrors of the world of appearances and the blissful world of soaring melodies. I will ask you this enigmatic question without providing an answer. Burroughs knew the answer. Are you from Dixie? 'Cause if you're from Dixie, I'm from Dixie, too. If you're from Dixie you will understand. Thus, I search through the pages of history, the mazes of personality, over the sea of doubt and uncertainty in search of answers that will have no more substance then that melody of 'Maria Elena' that envelopes and soothes my mind. How does a writer, work? How does he seize and sort facts, ideas and fancies? As Louis Armstrong said: If you have to ask, you'll never know. Louis played trumpet: trumpet players are notably arrogant. Still, there is some wisdom in his statement. Like the lead guitarist of 'Maria Elena' you have to reach for those notes; you have to combine them in the right order and touch the strings in the proper way. Then perhaps the mood comes through. It ain't easy, I tell you. I'm going to try something here to see how it works. Links and linkages. Edgar Rice Burroughs, Johnny Roselli, Sam Giancana, Frank Sinatra, Jack Kennedy, Bill Bonanno. There's a nice assortment of names isn't it? 1938 to 1963 What links are there between them? This is how I work. You have to read a lot of stuff. The above list represents a couple hundred books. I say this only so that you do not think I make up what I write out of whole cloth. I or anyone else have to work at it. See what you think. 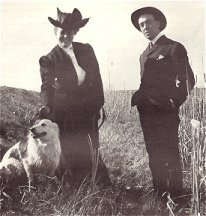 In 1934 Edgar Rice Burroughs left his wife of thirty-four years, the lovely and loving, Emma Hulbert Burroughs. She was the mother of his three children. They had had a rocky relationship for thirty years. The rocks were unavoidable. As a man it was ERB's duty to remove or overcome them. That is the responsibility and burden of being a man. Might seem unfair but, hello Xy. That's just the way nature is. He then took up with an Anima figure named Florence Gilbert Dearholt. She represented the X of the Xy. But no real life woman can ever fulfill a man like his Anima ideal. The Anima ideal is like that melody of 'Maria Elena' that fills my mind. It may be real but I'll never be able to touch it. Ed and Flo were decent, self-respecting citizens of dis yar Republic. They moved into an apartment building just above Sunset and Doheny in LA. Resident also in the apartment building was a fellow immigrant from Chicago by the name of Johnny Roselli. They became friends. Perhaps Roselli's name of John recommended him to Burroughs. John was ERB's favorite male name. If Roselli had used his real name of Filippo Sacco he might have found making the acquaintance rougher going. Then about thirty-three years of age, Roselli was an attractive young man with an outgoing personality. He became friends with Flo and Ed. 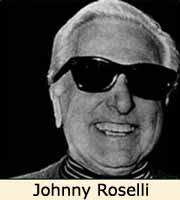 I don't know if ERB ever knew it but Johnny Roselli was a hit man and loan shark for the Chicago Outfit. A truly dangerous man to know. But you might know him and never be aware that he rubbed out your best friend. ERB seems to have been taken by him because he appears in Tarzan And The Foreign Legion under the name of Johnny Rosetti. One imagines that Roselli talked and acted like Rosetti. Rosetti was one of the Foreign Legion. ERB caught up in the flow of the Melting Pot touts Rosetti as an example of how all Americans come together. ERB went to Hawaii as the forties began. It's hard to believe he didn't hear of it but Roselli went to prison shortly after so he never really played the part of Rosetti accorded him by a benevolent Edgar Rice Burroughs. No, Johnny Roselli didn't serve his country in the Pacific. About the time ERB was writing Tarzan And The Foreign Legion Frank Sinatra, a very dangerous man, was filming a short subject about tolerance for Italians and others. There were no minorities at the time merely people of different national, ethnic, racial and religious origins. The concept of minorities which institutionalized the notion came later. Also about this time a young Naval Officer had his PT boat torpedoed in the Pacific. That was John F. Kennedy. Bill Bonanno, the son of a New York Mafia chieftain was a young man of Kennedy's age enjoying the good life of unrationed gasoline and all the good things. While ordinary Americans suffered deprivations and their young men served overseas Mafioso wiseguys had plenty of everything while enjoying the soldiers wives. The melody of 'Maria Elena' fades in and out of consciousness about here. Sam Giancana was out from behind the wheel beginning his rise through the ranks of the Outfit. In the intervening years Roselli got out of prison. Frank Sinatra went through some lean years at the end of the forties and the beginning of the fifties. Giancana got bigger, Kennedy and Bonanno sought their places in the world. As luck would have it Sam Giancana became the figurehead of the Outfit which was really run by Tony Accardo with Roselli as an underboss. Jack Kennedy became a candidate for President of the United States. The Kennedy family began as criminals in close association with the Mafia. Now in 1958-60 as Jack was mounting his presidential campaign his father, Joe Kennedy, called on his old associates for help which they were very willing to give as to their minds they would have a criminal in the White House. God only knows what Jack might have done but his little brother, Bobby, was truly an idealistic young man. Bobby double crossed the Mob. He went after them from his post of Attorney General. At the time it seemed probable that Jack would do eight years, Bobby serve after him and Teddy succeed Bobby; a dynasty of 24 years. With that kind of control it seemed pretty safe to hit the mob. What were they going to do about it? Bill Bonanno stood back amazed. The way he saw it he was every bit the man his contemporary criminal, Jack Kennedy was. Joe Kennedy and his dad, Joe Bonanno had been associates. So, why was he considered a reprehensible criminal while Jack Kennedy was the President of the United States? Didn't make much sense. I agree with Bill. Strange, huh? Frank Sinatra and Sam Giancana were extremely put out by the double cross. Sinatra had his own emotional problems. He thought he was going to be close buddies with the 'most powerful man in the world.' He even had a helicopter pad put in his backyard so the Pres could drop in whenever he liked. Frank was not the kind of guy to toy around with. He was mean and vindictive, emotionally unbalanced but not so crazy as to expose himself in self-destructive schemes. Everybody who tangled with Frank or got involved with him lost. Frank was crafty as heck. He humiliated Joe Dimaggio of whose reputation he was jealous. Kennedy, Giancana, Roselli all died terrible deaths while Frank died in bed. Think about it. Jack Kennedy managed to antagonize a lot of people. He was personally a very unlovely man. Disgusting in my humble. There were a lot of people who wanted him blotted out, not least of whom were Frank Sinatra and Sam Giancana. These men were experts at blotting out people. Frank Sinatra, Frank Sinatra. The old crooner fooled a lot of people just because he could carry a tune. He was a mama's boy, you know. It is a psychological fact that a mother's love empowers a son. Frank's mom was not a fine moral example which is why Frank turned out the way he did, but she gave him strengths which couldn't be matched by any of his contemporaries. Of course it is not established who shot Kennedy but I've come to the conclusion it was a combination of the Outfit and the CIA. Who was the go-between who coordinated the Outfit and the CIA? Who else could it have been? Francis Albert Sinatra. Who else had an entree with the gentlemen of the CIA and the goons of the Outfit? Francis Albert Sinatra is the only one. Johnny Roselli told a story to Bill Bonanno. I am one who does not believe a Mafioso is any bigger a liar than anyone else. Everybody lies unblushingly when it suits their interests and tells the truth for the same reason. Apart from psychological indicators which point to Outfit involvement, Roselli told an interesting story to Bill Bonanno in prison. He could be lying but I see no reason for him to be doing so. Besides the story is so improbable that you'd have to be truly stupid to make it up. Roselli wasn't that stupid. Bear in mind Roselli knew only what he had to know but he told Bonanno something like this. The Kennedy cavalcade wound its way into Dealy Plaza with the strains of 'Maria Elena' floating high in the air where they couldn't be heard. Johnny Roselli stood concealed in a sewer. Now, it is true that the manhole covers and sewers were not welded down as they should have been. As the car approached the checkpoint Oswald fired from the school building, what happened on the grassy knoll isn't clear, Roselli says that he rose from the sewer and fired the shot that killed Kennedy. 'I saw his head snap back.' He said. Giancana fled the country shortly thereafter. Brought back from Mexico a decade later he was shot to death while frying his sausages. A couple years later Edgar Rice Burroughs' old friend and model for Rosetti in Tarzan And The Foreign Legion washed ashore in an oil drum off Florida. After they reassembled the hacked up pieces it was, Heeeeeeeeeere's Johnny. Yup, that was him. Frank Sinatra died in his bed. Bill Bonanno is still around wondering how a criminal's son made the White House while he, no more a criminal's son than Kennedy, did a stretch in the pen while now his steps were dogged by the FBI. Edgar Rice Burroughs was rediscovered in the year of the assassination rising to new heights of popularity. Millions upon millions of books. I'm snapping off my computer now so the strains of 'Maria Elena' die away. So that's kind of how I piece things together. I may only be able to use the parts of this that directly concern ERB and Johnny Roselli but I might add more detail about ERB and also about Roselli's activities in Hollywood. Whatever the final product it began something like the above. I really like 'Maria Elena.' 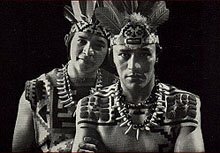 I prefer the version by Los Indios Tabajaros. How about you? Wondrous indeed is ERB's ability to incorporate obvious influences from a multitude of sources combining them with his own original ideas to concoct an incomparable blend. In many ways he was like a conductor of a symphonic orchestra - strings, wind and brass all contribute along with the steady throbbing of the jungle tom-toms to a harmonic whole that is sheer brilliance under his skillful pen. Rider Haggard and Conan Doyle. Jules Verne and Jack London. Zane Grey and Rudyard Kipling. Robert W. Service and H.H. Knibbs. The list goes on and on. Some are represented in his library as presented here on ERBzine, some aren't. As far as I have been able to determine if a title is in the library you can look for its influence in the corpus somewhere. Many of these writers are not slight influences but fundamental to Our Man's storytelling. Just when you think there couldn't be another obvious pervasive influence up pops L. Frank Baum and his Oz series. On further reflection I found there are three Baum titles in the library - Ozma Of Oz, Rinkitink In Oz and Glinda Of Oz. An odd group of titles, I thought. No Wizard and No Land Of. The list begins with the third title in the series, Ozma Of Oz. Then after completing the writing of ERB's three women I found myself with Tarzan And The Golden Lion in my hand. Literally, and I wasn't sleep walking either. Don't know how it got there; don't know why but there it was. I suddenly said, I'm a sudden sort of guy, says I, I'll do this next. Maybe because the quartet of Tarzan novels - Tarzan The Untamed, Tarzan The Terrible, Tarzan And The Golden Lion and Tarzan And The Ant Men all seemed to be involved with ERB's troubled relationship with his first woman, Emma. Maybe the choice was understandable but then some inner voice whispered - Read the three Baum novels first. David seemed really convinced about Baum so I checked the dates of Baum's stories not really being willing to invest the time. Ozma was published in 1907 which seemed a most significant date, Rinkitink in 1916 and Glinda in 1920. My course of action was now clear in my mind. I picked up my Dover edition of Ozma and began to read. Here was the catalyst that set ERB's pen in motion. He may have read The Wonderful Wizard Of Oz sometime after it was issued in 1900, maybe even between 1900 and 1903 when he took Emma to the wilds of Idaho. He may have read The Land Of Oz sometime after 1904 when it was issued but neither of those titles made a transcendent impression on him. The series didn't burst into living color in his mind until Ozma. The first two Baum books may compare with the first four Tarzans as predecessor volumes. Both Baum and Burroughs seemed to be searching their metier for the right road to follow. Each writer reached a sort of dead end. Baum's first two lead up to the creation of Ozma when the series blossoms while the first four Tarzans lead up to the Jewels Of Opar when the Big Bwana really begins to fit his g-string. Introduced in Land Of Oz, the boy-girl Ozma, the Teresias of modern times, comes into his/her own in Baum's third volume. Baum, perhaps at a loss as to what to do after the rather pedestrian Land Of Oz, ransacked Greco-European mythology to come up with Ozma. He combined mythology with the Esoteric Gnosis, as David points out, to come up with a very appealing blend. The result as expressed in Ozma provided ERB with enough material to populate a dozen of his own novels or more. Ozma triggered ERB's desire to write. He may have publicly said he was embarrassed at being a writer because he didn't consider it manly but when he had a chance for a successful career at Sears, Roebuck he threw it over for what? A series of dead end jobs? Not likely. He always had it in mind to be a writer. Denying it was just some kind of public relations. There is some discussion among Bibliophiles as to when ERB's maiden effort Minidoka was written. Following Bob Barrett who wrote the introduction to Minidoka the belief is that it was written in 1903-04 when ERB was still in Idaho using The Wizard Of Oz as a basis for the obvious Oz influences. I have argued elsewhere for a date of 1908-09 for which Ozma is conclusive proof. The references to Oz in Minidoka reflect Ozma so that Minidoka couldn't have been written before 1907 or whenever Burroughs read Ozma, certainly no later than 1908. So, Minidoka must have been written in 1908-09. As a first effort the book, or rather long short story, is interesting without being compelling. ERB obviously saw its shortcomings so he put it in a drawer while he reorganized his thoughts. The book remained unpublished until Dark Horse published it in 1998. Roughly two years later the story jelled in his mind so that he was able to write A Princess Of Mars. The whole John Carter Trilogy reflects the Ozma influence, among many others of course. Dante not being among the least as both David and I discovered. The Wonderful Wizard is Baum's Tarzan Of The Apes that establishes his fantastic premise. Land Of Oz is a rather commonplace follow up, interesting but strained and not very exciting. And then Ozma. Just as though shape shifting from one realm of imagination to another, girl from boy, Ozma begins with a huge storm at sea reminiscent of the many such storms in Burroughs novels. Apparently when ERB read it he said 'I know the feeling.' Aboard the ship was little Dorothy Gale and her Uncle Henry. Dorothy was the heroine of the first book in the series. She is very appropriately named Gale as a tornado transported her to Oz the first time and now a typhoon. Baum apparently associated her in his mind with big winds. In her case the ship doesn't sink but she is washed overboard in a chicken coop. Honest to God. Took a certain amount of imagination to come up with that one, didn't it? Dorothy and her chicken coop successfully ride out the storm along with a surviving Yellow Hen which talks and is especially proficient at laying eggs. Eggs will be important in this story. As in Burroughs the ship has been traveling southerly into the South Seas. After the storm abates land is sighted and the chicken coop drifts ashore. There's Burroughs all over, the wreck at sea, the search for land and the desert shore. The chicken coop lands in front of a big rock. "Why, that crack in the rock, just facing you, "replied Billina, whose little round eyes were very sharp and seemed to see everything. "It runs up one side and down other, and across the top and bottom." "Why the crack. So I think it must be a door of rock, although I don't see any hinges." "Oh yes," said Dorothy, now observing for the first time the crack in the rock "And isn't this a key-hole Billina?" pointing to a round deep hole at one side of the door. "Of course. If we only had a key, now, we could unlock it and see what is there," replied the yellow hen, "may be it's a treasure chamber full of diamonds and rubies, and heaps of shining gold, or--"
And indeed, when the tor was transported by ERB's imagination to the plain by the side of Opar in Tarzan And The Jewels Of Opar it was filled with jewels and gold.  So we have a direct connection to Opar from Oz. Dorothy and the hen having released Tik Tok a mechanical man from the rock all make their way to the palace of Langwidere of Ev. This very interesting woman is the model for Burroughs Rykors and Kaldanes. Burroughs characteristically reverses the situation making the heads permanent rather than the bodies. Langwidere's body is permanent while she has 31 heads, one for each day of the month, of which she selects one most appropriate for the occasion. 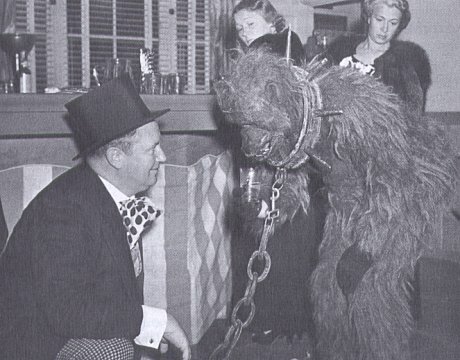 She selects a haughty one to greet Dorothy, the hen and Tik Tok. That's a credential that can't be denied, eh what? 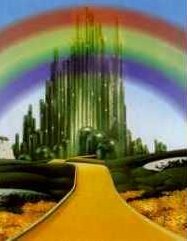 Langwidere should have replied 'Well, you're not in Kansas anymore.' but she missed her cue. As it turns out the Princess' family has been enchanted by the Nome King (read Gnome) who lives in a mountain. Dorothy et al. set out to retrieve the family which necessitates a visit to the Hall Of The Mountain King. Here Baum really mines Greco-European mythology to make a story that really glitters. The journey to the Mountain King is reminiscent of Theseus' trip across the Isthmus of Corinth. Successfully surmounting all the obstacles the group is admitted to the Hall of the Nome King. Nome may be an abbreviated form of Gnome as the king is a gnome. The name might also be related to the Egyptian political division of Nomes. Baum and his wife were Theosophists, as David points out, so that they would be quite familiar with the ancient Gnosis. The story of Ozma of Oz is indication enough of Baums's familiarity with Greco-European mythology and folklore. The influence of Ozma on Burroughs is more than evident. There is some discussion among Bibliophiles as to whether Burroughs himself was into Theosophy. At least by 1916 if not on his first trip to California in 1913, Baum moved to California in 1910, Burroughs and Baum had met becoming friends. They were intimate enough, at least, for Baum to recommend him for membership in his Uplifters Club in 1917. Baum must have known who Burroughs was. In 1916 in order to have read much of ERB Baum would have had to have been familiar with Burroughs' magazine versions of his stories as by 1916 only Tarzan Of The Apes had been out for two years while the Return had just been issued in 1915 in book form. If Baum had read the John Carter Trilogy in magazine form he would have recognized the Esoteric influences whether he realized that they derived from Ozma or not. Awareness of the Esoterica would have drawn him to Burroughs and must therefore have formed a basis for the their conversation. ERB had an omnivorous curiosity so that while the Gnosis is too irrational for a rational mind to accept it is nevertheless a phase through which HSII and III consciousness has passed. One would inevitably compare it to Orthodox Christian thinking and Science. I think Burroughs must have. Esoterica itself is the foundation of imaginative literature in the twentieth century whether fantasy, horror or science fiction. The three genres could not exist without it so Baum and Burroughs were on the cutting edge, as it were. Even though ERB never became embroiled in Theosophical concepts he knew what they were and integrated themes into his stories. Baum may very well have been one of his primary sources. I rather imagine ERB was in awe of the older writer considering it a privilege to know him. The Hall Of The Mountain King is a hollowed out mountain of many chambers. As the master of subterranean wealth the king has studded the walls in precious stones, gold and silver abound. One is immediately reminded of the cliffs of the Valley Dor in Gods Of Mars. Carter's ascent into the caverns of the Holy Therns seems almost a duplicate of Ozma's retinue in the hall of the Mountain King. If Burroughs was influenced by Baum it is quite possible that Baum was influenced by Burroughs. In Baum's 1916 Rinkitink In Oz Rinkitink and his entourage return to the Hall Of The Mountain King somewhat as Tarzan returned to Opar. In this case Baum seems to have gone all out to create wonders as though he were a great magician trying to out conjure another great magician for the title. In Gods Of Mars Burroughs has his troupe invade the subterranean caverns of the First Born which in itself is a replication of the Hall Of The Mountain King from Ozma. While there Dejah Thoris is trapped in a revolving chamber that will take a Martian year to revolve before opening again. Baum was probably captivated by the idea. In Rinkitink of Oz he has Rinkitink and his two associates lured into three separate chambers for their night's rest. As they enter their separate chambers open doors within connect the three compartments. Baum has, if I've got this right, the center chamber revolve so that when Inga, the hero, gets up in the night to enter Rinkitink's chamber he is baffled by a stone wall. He can neither leave his own chamber nor enter either of the other two. This appears to be very close to the idea of Dejah Thoris' chamber which came first. As the Mountain King is bent on their destruction the prisoners are released one at a time having to undergo a variety of perils. Inga has to traverse three large underground caverns which will later appear in Burroughs' Tarzan And The Ant Men as the underground caverns in that Ozlike land. In their discussions it is not improbable that Burroughs and Baum discussed the various ways to manipulate Esoteric and mythological material into something so remote from the original that it sounded new. As an example the Greek myth of the infidelity of Aphrodite was reworked brilliantly by Baum in Rinkitink. In the Greek myth the husband of Aphrodite, Hephaestus suspects her of infidelity. To trap her he makes a fine mesh golden net which he suspends over their bed. Called away to Olympus on business, Ares, Aphrodite's lover, takes advantage of his absence to dally with Aphrodite. As they leap into bed the net falls enclosing them in full coitus while hoisting them into the air awaiting Hephaestus' return. Baum, of course, fills his stories with magic while Burroughs relies on science. Using the theme of the net Baum has the Mountain King offer Rinkitink a skein of golden threads as a present. As Rinkitink accepts it the strands unwind in a flash weaving a net which encloses Rinkitink. This story is a virtual retelling of the Greek myth. In Rinkitink's case Baum has devised some hocus pocus about magical pearls of which Rinkitink has the pearl which protects him from all harm so that the net falls from him harmlessly to the floor. So La in Opar, who is probably based in part on Ozma, is the high priestess of the Flaming God ruling a semi-magical city-state of old Atlantis. Like the Hall Of The Mountain King La's realm is honeycombed with subterranean passageways and chambers jam packed with golden ingots and mountains of diamonds and other jewels. As David Adams posits, Burroughs was certainly influenced by Baum while, to extend David's thesis from 1907 to Baum's death in 1919 there seems to have been an interchange of ideas, a competition if you will, between these two magicians of literature. Burroughs also saw fit to have a copy of Glinda Of Oz in his library. Baum is credited with fourteen Oz books which includes the posthumous Royal Book Of Oz. There are some 39 titles in the series but the others were written by other writers much as various writers pen Conan The Barbarian stories. Glinda was published in 1920. The story involves a Communist like city and a glass domed city in the middle of a lake. The city is capable of being submerged in the event of attack. It is possible that Glinda with its well disguised politics may have influenced ERB in his rewrite of Under The Red Flag. The retractable city may also make an appearance in Beyond The Farthest Star where the various city are lowered underground during aerial attacks. There is a probable connection also to the Forbidden City with its submerged temple at the bottom of a crystal lake. Had Baum lived it would have been interesting to see how the two writers might have continued to interrelate. Just as Baum was able to interpret and incorporate mythological and Theosophical beliefs seamlessly into his writing so Burroughs was capable of not only that but building quite closely on his literary influences while incorporating scientific ideas and contemporary history and politics into a blend which, while it doesn't defy analysis it is so well disguised that it requires a great deal of study and effort to penetrate. With whatever literary faults Burroughs might have, writing too hastily being his major fault, he nevertheless is a great, even awesome writer. One can read the stories rapidly as mere entertainment and be vastly amused however a closer reading will reveal a mass of detail that reveals a man who was also a deep and intelligent thinker. ERB is much more than a jungle joker.